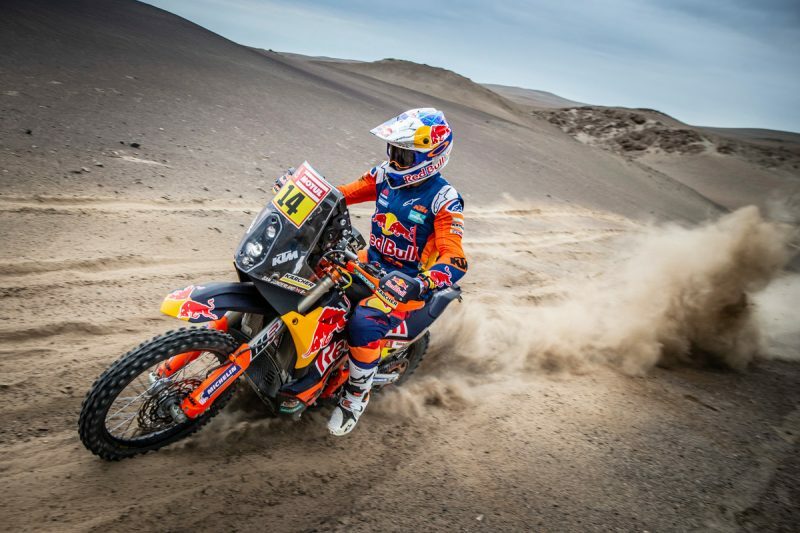 No offroad sport is more mentally taxing than the Dakar Rally. 10, maybe as much as 15 hours alone inside your helmet racing at high speeds across unknown deserts in tough riding conditions for day after day, all on top of four or five hours sleep a night. 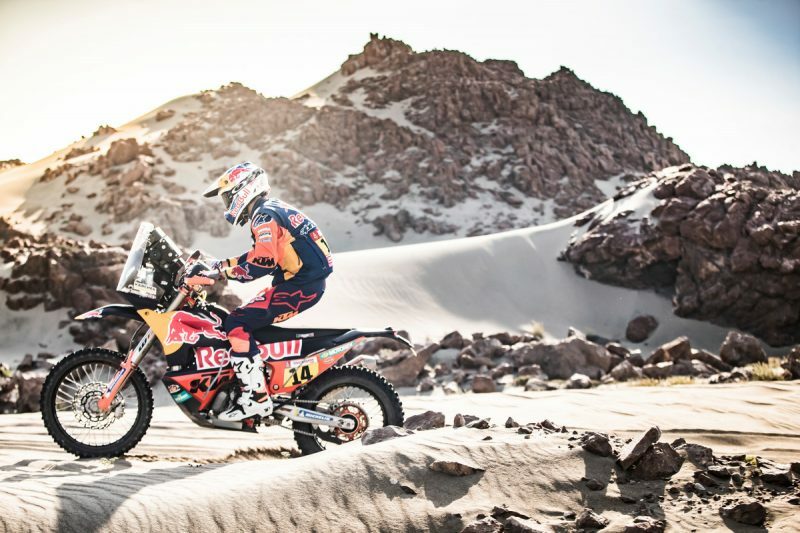 This is Dakar they say and for rally racers like Sam Sunderland and his Red Bull KTM Factory team-mates these are the realities of racing the toughest race on earth. 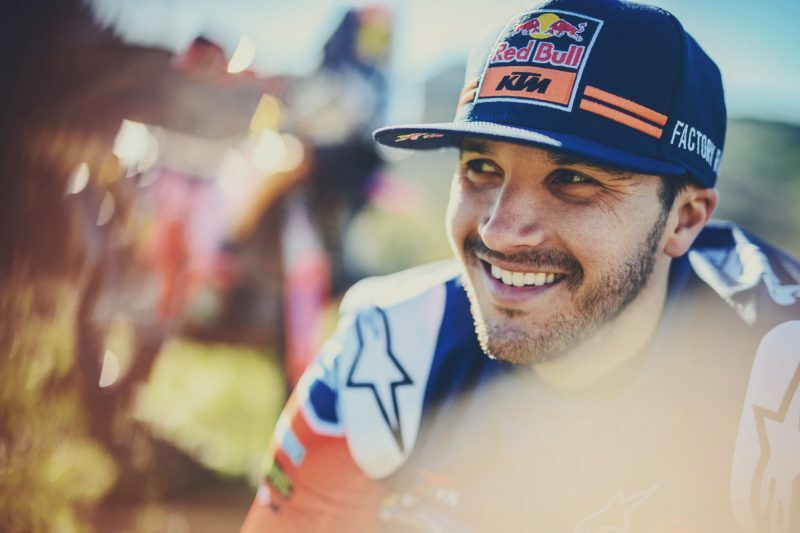 The list of events “derailing” Sam’s plan for Dakar 2019 began in week one, stage five when he witnessed and helped deal with a crashed rider, Paulo Goncalves. “I saw him crash, directly called the helicopter and assisted him as I could with some water, getting his gear off and trying to make him as comfortable as I could even though he was in a lot of pain,” explains Sunderland. Pro racers are focused individuals naturally, but still humans and a fellow competitor’s well-being comes first. The result was a stage win for Sam, a fact ordinarily you’d expect to be a positive for a rider? 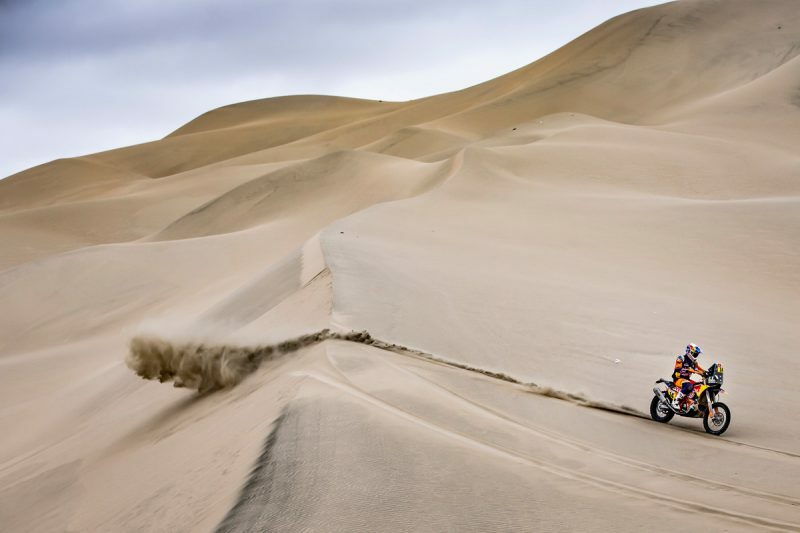 “The problem was nobody wanted to win that stage because everyone was petrified of opening the Tacna stage [following day] because they knew it was going to be hell!” says Sam. The drama wasn’t over yet. “I actually opened Tacna really well and was super-pleased with my navigation.” But things took a turn quickly when he unknowingly hit a rock and broke his rear brake disc. 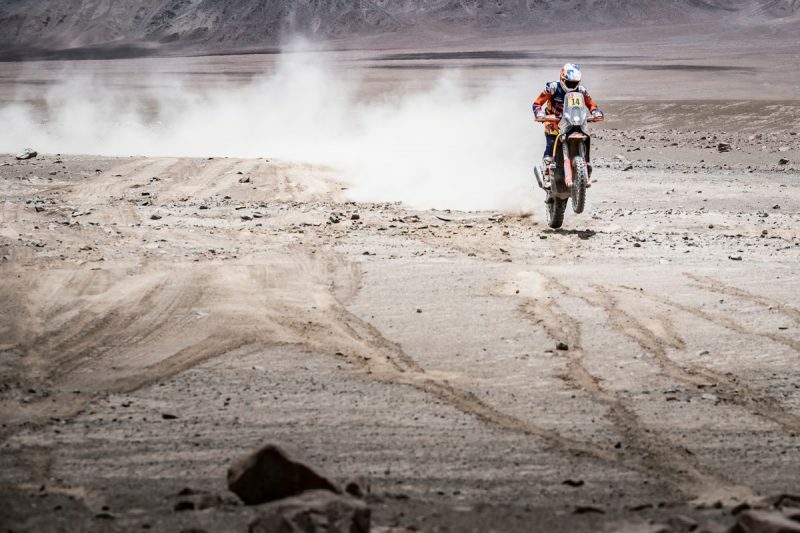 Riders must learn to deal with these set-backs (including riding 100s of kilometers in sand with no brake!) and must adopt a psychological reset button or an emotional mute button inside the head to lock away the problem and deal with what is in front and not behind. “The next day I won the stage because I had no choice. The only thing I could do was try and make up time by going all out to win. From that point onwards I could only deal with what I had,” explains Sam, perfectly illustrating the point. 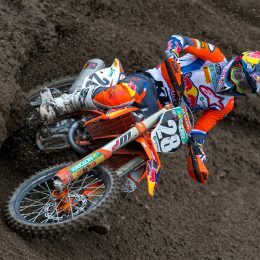 But Sunderland’s Dakar took yet another twist the following night after stage seven when organizers issued an hour time penalty. In the rider’s mind at this point all is lost. 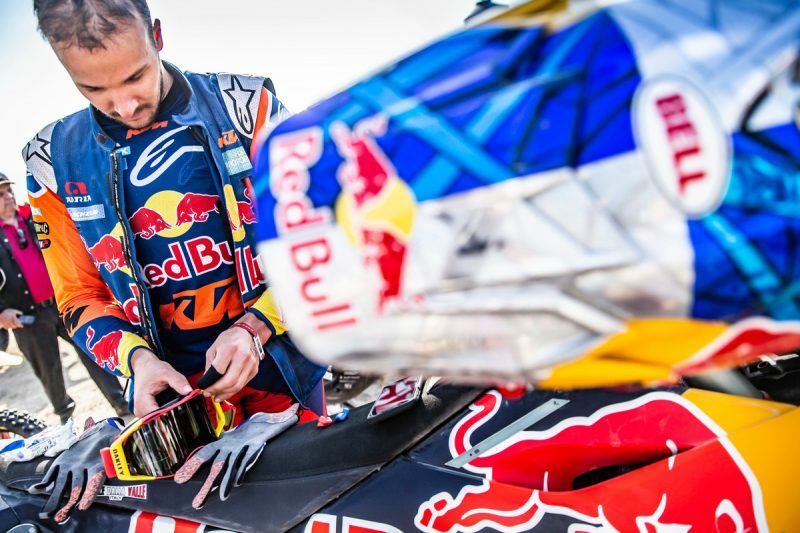 12 months leading up to Dakar, all the issues already overcome during the 2019 rally were blown away with a blown fuse. 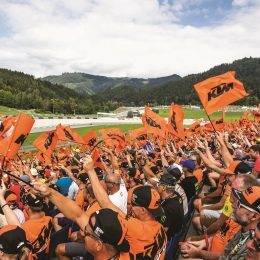 Sam says he was so angry he was ready to throw in the towel but out of respect for his mechanic and the KTM rally team he continued onwards. “Having four or five hours sleep each night and riding for hours or whatever is tough but to have all this other stuff piled on is difficult,” explains Sam. Emotionally, every sportsperson takes knocks physically and mentally. 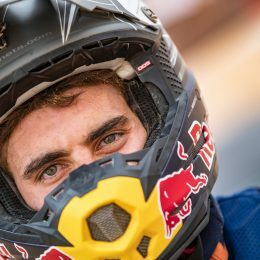 In offroad sport those knocks can come with a turn of the wheel but at Dakar, the toughest race on the planet, those knocks can be with sledgehammers.